Disclosure: I was provided materials mentioned in exchange for hosting a party and review. All opinions expressed are my own. I can't tell you how excited I was to find out I got to host a Fit Made Fun party sponsored by LeapFrog, CLIF Kid ZBar Protein and Mommy Parties. I was sent a party box including two LeapFrog Activity Bands, multiple boxes of CLIF Kid ZBars and activities and ideas for the party. 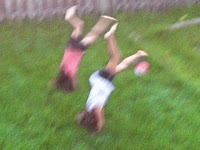 We had all the neighborhood kids over and had a fantastic outdoor fun time. 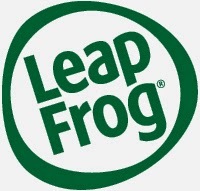 The new LeapFrog activity band--to me--was a mash up between a tamagotchi and a cross fit wristband. It tracks activity, has cute characters that need you to move to give them energy joules (my daughter is still convinced she's giving her puppy jewels...like a crown). The more active you are, the more joules your animal gets. You can also take care of your pet to unlock bonus features and items. 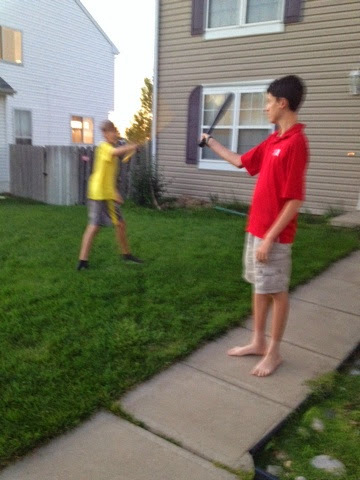 To me, the biggest surprise was that my 12 year old son took to it faster than my 8 year old daughter. 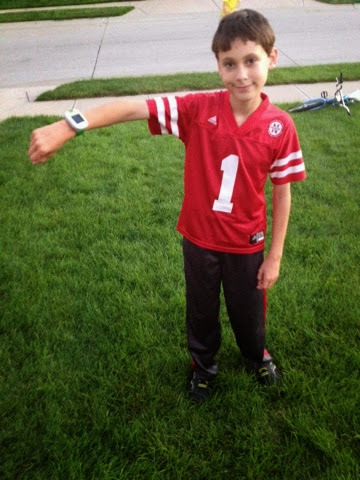 Nathan loved it and is still more likely to make sure it's charged than his sister. I don't know if it's an autism thing or a 12-year old boy thing, but he loves the premise. 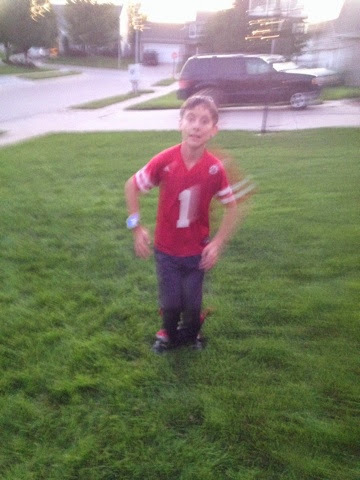 He goes out to exercise (burn off steam) after school before starting homework. He's set it to talk to him after about an hour to take a 1 minute activity break. It's the same concept of the 'brain breaks' they get during school. For him, taking one minute to move and be active will recharge his brain so he can go back to work and work faster than before. 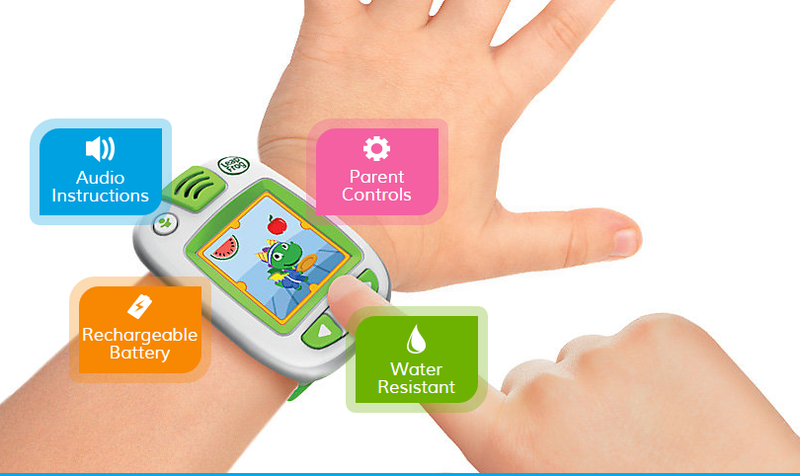 To learn more about the LeapFrog Activity Band, click here for activities and information. The CLIF bars were a much bigger hit than I thought they would be. The kids...and moms...all loved them. I had a few icks to the Chocolate Mint--but the grown ups loved that flavor. My kids are now begging to have one every day as a snack. And with the excellent nutrition, I feel better about this than a lot of other snacks they like. We tried Chocolate Mint, Chocolate Chip and Peanut Butter Chocolate. Filling and great taste plus they are made with natural ingredients and better for you than other snacks--it's a win all around. 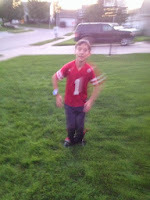 Here are a few pictures (action shots) of some of the kids doing their activities. 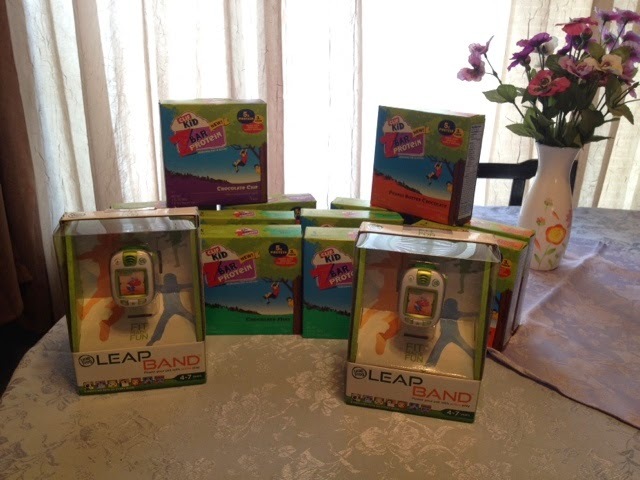 It was a fun party and a great way to get active with LeapFrog. Nathan wearing the LeapFrog Activity Band. 60 seconds. Nathan led the way (so it's blurry). Some of the girls doing handstands and cartwheels. Boys making their own rules & game. They were sword fighting with wiffle bats.